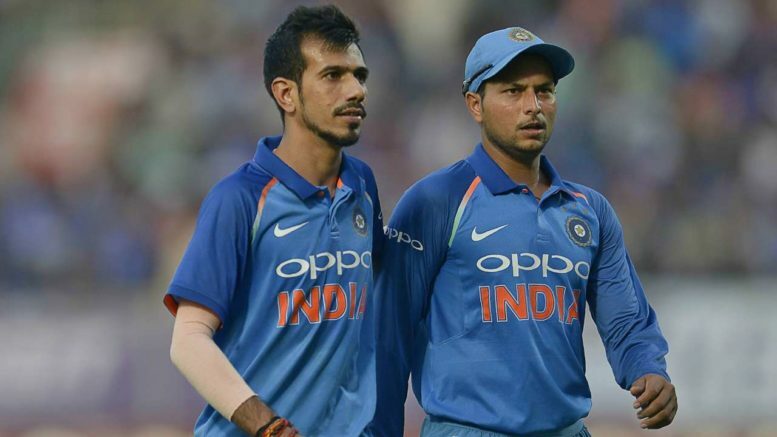 In the bilateral series against South Africa, India’s Yuzuvendra Chahal and Kuldeep Yadav have broken the record taking the maximum wickets surpassing the former West Indies all-rounder Keith Arthurton, who took 12 wickets across seven ODIs during the 1998-99 seasons. During the fifth ODI in Port Elizabeth, India beat South Africa by 73 runs to secure their first ODI win in the country. Chahal was the first one to break the record when he claimed his 13th wicket and not after so long Yadav joined the race taking 16 wickets in the series so far. Chahal has marked a dramatic success in the six match series. He started with 2/45 then he reached his career best 5/22 and then 4/46. Until now, the best Indian Spinner to take wickets was Anil Kumble for five wickets in seven ODIs back in 1992-93. This was the best series return for India till date. Be the first to comment on "Chahal and Yadav Broke Spinner Records on South African Soil"